Greetings potential MSBL national tournament team managers! 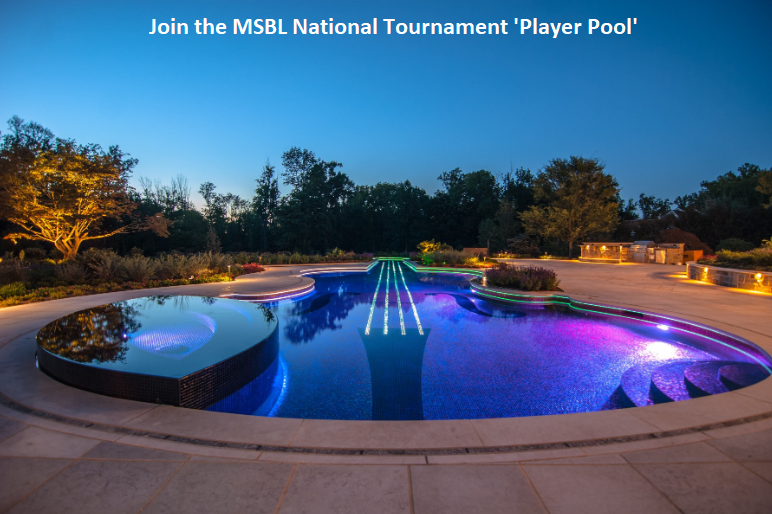 I am responsible for entering our Player Pool entrants on to the Player Pool page of the national website and I wanted to make a comment for your benefit regarding a trend I am seeing in 2019 thus far. First of all, the Player Pool page remains one of the most visited and successful ports we have on the website. Many, many players get picked up and it has proven to work very well. The point I wanted to make is that so many players are entering their names this year with ‘ANY’ as their preference of tournaments to participate in. If you are looking to fill your World Series roster, for example, you will see World Series entrants listed at the top, as that is where I always enter new names for that tournament, but I wanted to make you aware that under the Fall Classic entrants, which follows the World Series, you will find a ton of players who have stated they are willing to play in ‘ANY’ tournaments. My point is, please don’t stop looking after the World Series listings while thinking that is all there is because you will find many more names listed with ‘ANY’ if you scroll further down. These players will also have an interest in the World Series, along with our other tournaments. Our goal is to pair up players with teams so I am encouraging everyone to look through the entire list. We would hate for a player to be left out of a national tournament experience because a manager overlooked that section. We may think of a different way to promote these players to make them easier to locate but for now please be aware that there is plenty of gold if you dig a little deeper! Any suggestions on the best way to keep these players front and center are also welcome. Take care, play safe and we’ll see you somewhere in the dirt!